" Pleased to meet you! 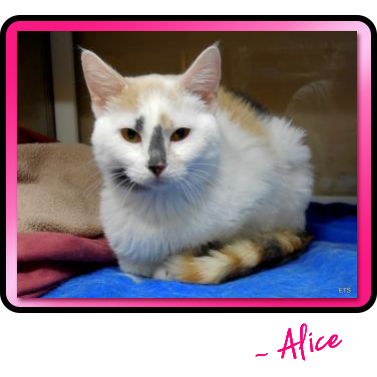 My name is Alice, and I'm a very pretty, dainty kitty with white, tan and charcoal calico markings. Oh, and check out my beautiful striped tabby tail!" "I'm a super friendly girl with a great purr, and I love to make biscuits with my paws. Oh, and I just love having my ears rubbed! I'm a gentle, affectionate girl who loves people and attention. I came to Wayside from another shelter that was out of space. In just a short time I was adopted from Wayside. My adopter said I'm a great cat, but the problem was, I just didn't get along with the other cat in the home. It seems I can be a little aggressive toward other kitties, so it would be best if I'm the only feline in the family. My previous person said I'm a talkative, playful, affectionate lap cat who is "really sweet," "adjusts quickly to new environments" and "enjoys being around people." 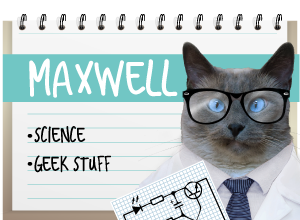 I also got an A-plus for using the litter box. 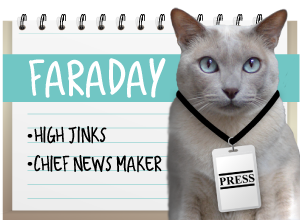 The Felineality testers here at Wayside say I'm a Personal Assistant. That means I'm a moderately brave cat who loves being around people. Whatever you're doing around the house, I will be right there, ready to lend a delicate paw. If you're looking to add some fun, beauty and love to your life, come to Wayside and meet me, Alice! 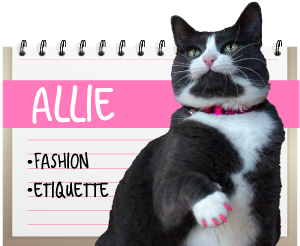 Alice is available today at Allie's Alma Mater, Wayside Waifs! What a pretty girl and we love her tail! Oh Alice, what a beauty you are, such unique markings you have. We purr for an amazing forever home for you where you are truly cherished. Alice you are a pretty waif and we know you will have your own forever sofa soon. Have a wonderful Wednesday. She's a beauty! I hope she finds a home soon. Alice you are beautiful - I am sure your forever home is just around the corner!